For the width of your fronts, not sure. Tallest 8 inch wheel tire I have seen is 22 inch, but that is for a wider rim. what about for this medium width rim i have? i do plan on this thing to be able to get threw the mud becase im praticly addicted to mudding, but i defiantly plan on this being a work horse/utility tractor. 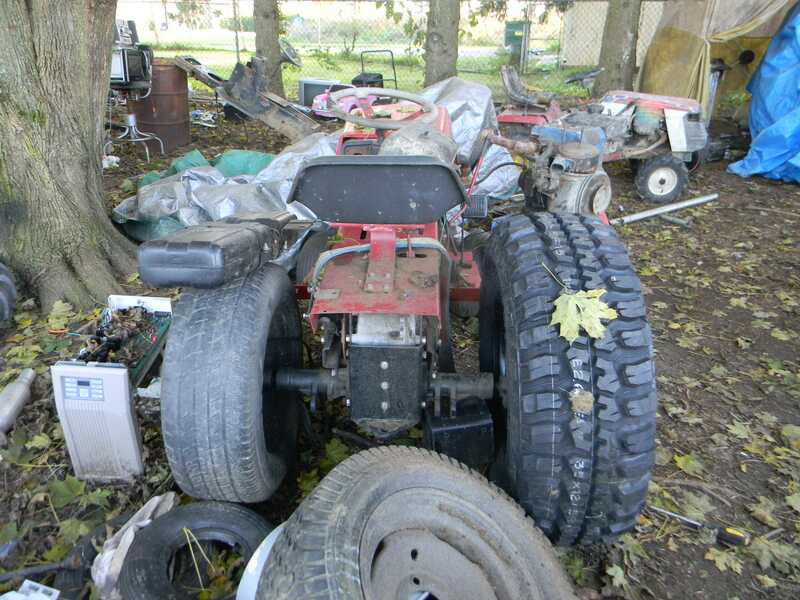 i plan on fixing the 3 point hitch and if some how i find a blade deck for it im getting it. these are the tires im getting, down the road im doing dullies. This tractor has 15" rims? Huh, interesting. what were you expecting? thats stock on a 990. the 970 has 12"
now for every one i worked on the thing more tonight, dont have time to dump camra, need to get to bed so i can get up at 4am for MORE OVER TIME, im so over overtime, yet i wont turn it down when offerd it. 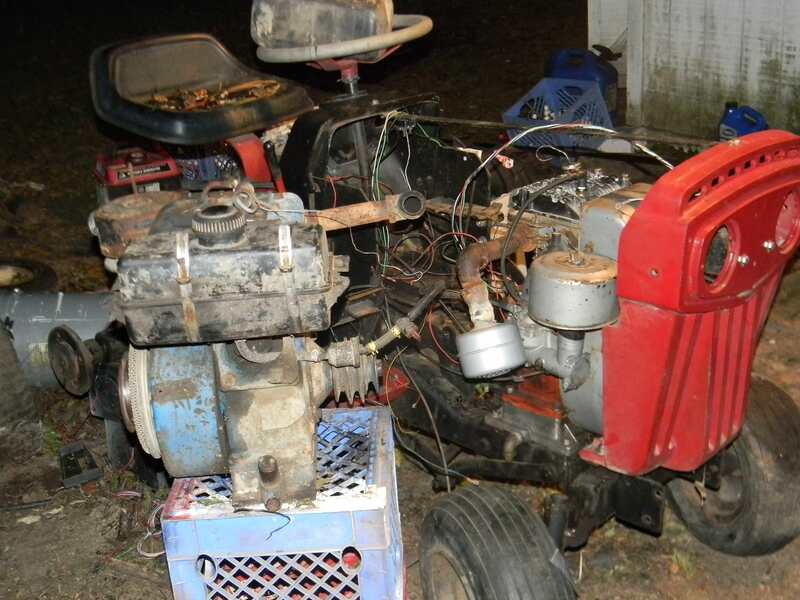 the tractor is mostly assembled, did not put hood on yet, im gutting a re-wiring the whole eletrical system first. i was going to rebuild the starter/genrator as its abit stiff, but the thing works and i was stripping the bolts trying to get it a part, i risk daming it with heat, so ile let it go till its actually a problem instead of making one. i also need to get ain air filter since my last one coght on fire. I just didn't know is all...... never seen one of these ol' MTD garden tractors in person. so i was ebay searching last night and i cold not find an air filter for a cast iron briggs. i hope that style of air filter is not to old for me to get. Is it not one of these? thats it, i forgot amazon was an option, i have had so many bad runs with buying used things from them i dont use amazon anymore. use apoxy to fix bad seal in gas tank. well i ended up bying the 16" carsile xtrac tiers for the front becase they were cheep and i only could find turf savors in bigger. i think 35" in the rear and 16" in the front its going to be absurd. tomrrow my xtracs are suspoed to come, so i will take my tiers down to sears and get them to do the rim swaps for me. i know right? i cant wait to make this duallies. 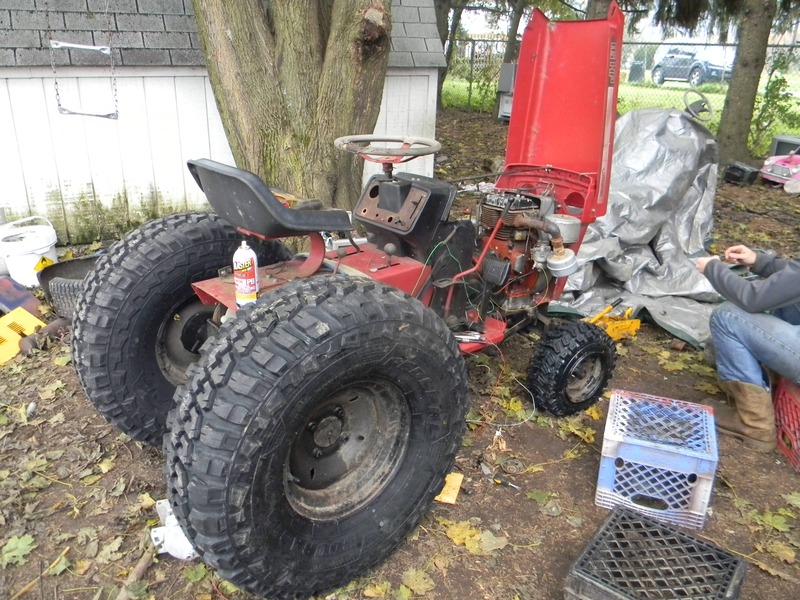 dew to the fact that tractor is to big for me to back in to the shead i think that getting duallies will be a spring time project, because in a month when i can afford to buy another set im not going to want to work outside. or some other 20x7-8 tire. They would fit that rim nicely. It's good to see someone else getting on old flathead running. if that actually wold fit that rim right then im kinda upset about it, i hate how low my front sits. it looks awesome from the back and kinda sad in the front. Yeah definitely need some bigger tires in the front. Those tires Carl linked would fit and I bet they'd look pretty neat. Even some 21's would look good I imagine. The new rear tires look pretty good though. well im a little late to that party, the front tiers will work, and my gole with this is being able to pull stuck things out of mud holes and do pulling work arround the yard. 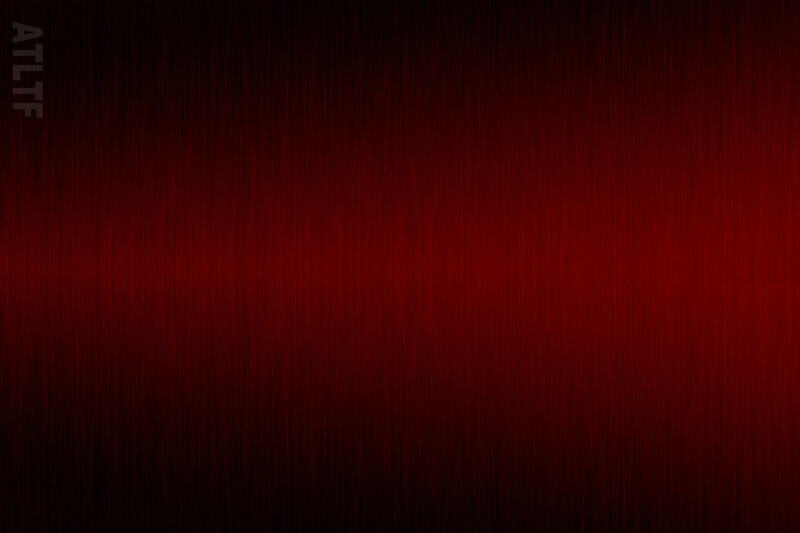 i wld like bigger tiers in the font, but im not replacing the ones i have now untill they rott out. 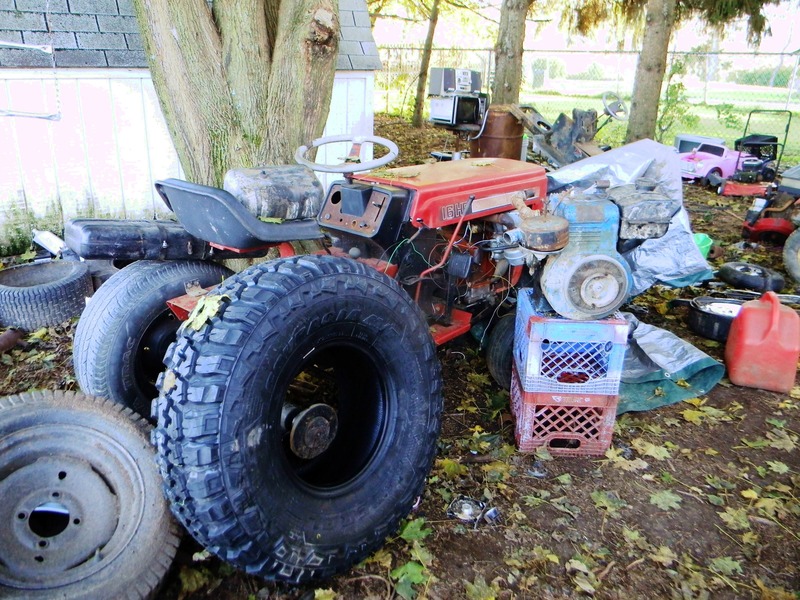 do any of you know of any other bilds were some body else shoved tires that big on a lawn/garden tractor? it feels absurd to sit on this thing, im high up there. 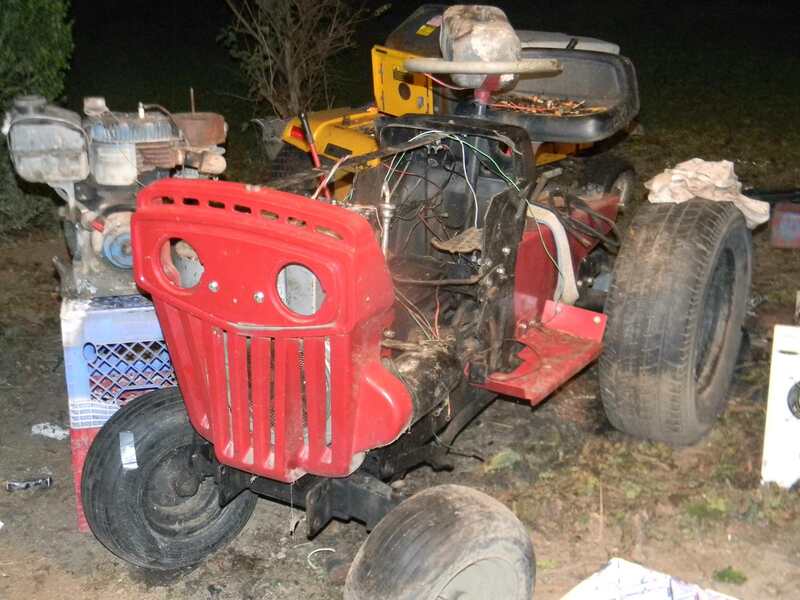 I've seen a few of these monster lifted mower in sprocket's garage on facebook. I get concerned over the center of gravity. However they look like a lot of fun for mud bogging! oh, i have seen thoes on this video, they dont look piratical to me, look like a tip hazard.